What are ‘undiscovered’ or ‘lost’ tribes? This is empty sensationalism. It’s extremely unlikely there are any tribes whose existence is totally unknown to anyone else. What do you mean by ‘uncontacted’? Peoples who have no peaceful contact with anyone in the mainstream or dominant society. 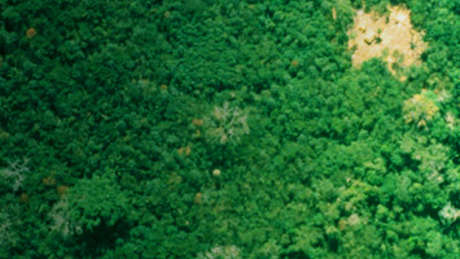 There are about 100 uncontacted tribes in the world. Will they ever have been in contact? In some cases, probably. Some may have been in touch with the colonist society in the past, even in past centuries, and then retreated from the violence which that brought. Some may once have been part of larger tribal groups, and split off and moved away, fleeing contact. Some who now grow no crops, but rely purely on gathering wild foods, may have had vegetable gardens in the past. They may have stopped cultivating because of the need to flee the encroaching society. No one is. Some Amazonian groups even had guns, from intertribal trading, before they’d ever met a non-Indian. Most uncontacted tribes have used some metal tools, which they have found, stolen or traded with their neighbours, for many years or even generations. Uncontacted peoples in the Andaman Islands use bits of metal from old shipwrecks, and so forth. Sweet potato, the staple for some Polynesian tribes well before their contact with Europeans, in fact came from South America. So are there any pristine societies? Generally, tribal peoples have lived on their lands for many generations if not millennia. Some say reports of uncontacted tribes are faked. Some ‘first contacts’ are acts for the benefit of tourists etc, but there are actually quite a lot of real uncontacted tribes. Sometimes, they are surprisingly close to people who’ve been in contact for decades, or longer. What’s Survival position on going there? No one should go to tribes which aren’t in regular contact with outsiders. It’s dangerous for everyone. We only publicize their rough location when it’s needed to protect their lands. 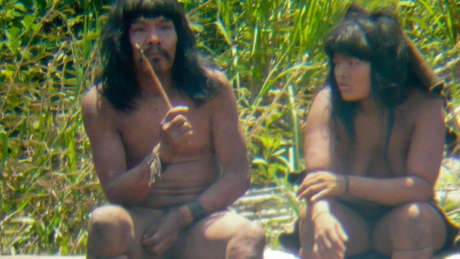 The Brazilians used to have ‘first contact’ expeditions. What’s Survival’s position? Those leading such expeditions ended up regretting them. They believed that contact was necessary to save the Indians, but the tribe often ended up destroyed anyway. Enlightened thinking now is that the Indians must be left alone, and effort put into protecting them. Isn’t flying over their lands contact of some sort? This is sometimes necessary to check whether they’ve moved elsewhere, and whether their lands are being invaded. It can be important to draw attention to their existence, and even to prove it. It’s necessary when the focus is on saving them from destruction, but shouldn’t be done just for tourism. But won’t seeing aeroplanes affect the tribes’ vision of the world? As already stated, uncontacted tribes will have seen aeroplanes on numerous occasions. The idea that this damages their self-image and/or spiritual beliefs belongs in the realm of fiction, and is based on the false supposition that their cultures are fragile. Experience shows that such peoples are in fact robust and well able to adapt to outside goods – most have been doing so for a very long time. Tribal peoples are not destroyed when they get or see things from outside, but by violence and disease as their lands are invaded. How do they react to overflights? They hide or show hostility. They make it clear they want to be left alone. But could this be because they don’t see the benefits of ‘our’ way of life? If they knew, might they want to join us? They won’t get the chance. In reality, the future offered by the settler society is to ‘join’ at the lowest possible level – often as beggars and prostitutes. History proves that tribal peoples end up in a far worse state after contact, often dead. Outsiders want their land or its resources, for timber, mining, dam or road building, ranching, or settlement etc. Contact is usually violent and hostile, but the main killers are often common diseases (influenza, measles, etc.) to which the uncontacted people have no immunity and which often prove fatal. Their lands to be protected. Surely they can’t be left alone forever. If the alternative is their destruction, why not? Whose choice should it be, theirs or ‘ours’? If a people chooses to make contact with wider society, they’ll find a way. If we think they’re human beings, then they have human rights. The problem is that the belief that they are primitive and incapable of deciding for themselves is still widespread. Why is it important that they be allowed to survive? Firstly, although small in number they are the most vulnerable peoples on the planet. If we care about human rights at all, we should surely care about the most endangered. Secondly, their languages, knowledge of the plants and animals in their environment (including medicinal plants) and view of life are unique. They know things we don’t. Thirdly, as the ‘most different’, they add enormously to the diversity of human life. If diversity in any sphere is important, this must be amongst the most valuable. It’s asserting peoples’ right to decide for themselves, rather than be destroyed at the hands of an invading society. No one thinks it’s ‘romantic’ to oppose colonialism, slavery, or apartheid etc.